It's no secret fall is family portrait season. The weather is gorgeous and it's an ideal time to get your holiday card images taken care of. Fall is an especially nutty time of year for us, so we took ours a bit early this year. Whenever you take them, I think choosing the right outfit for everyone is important. 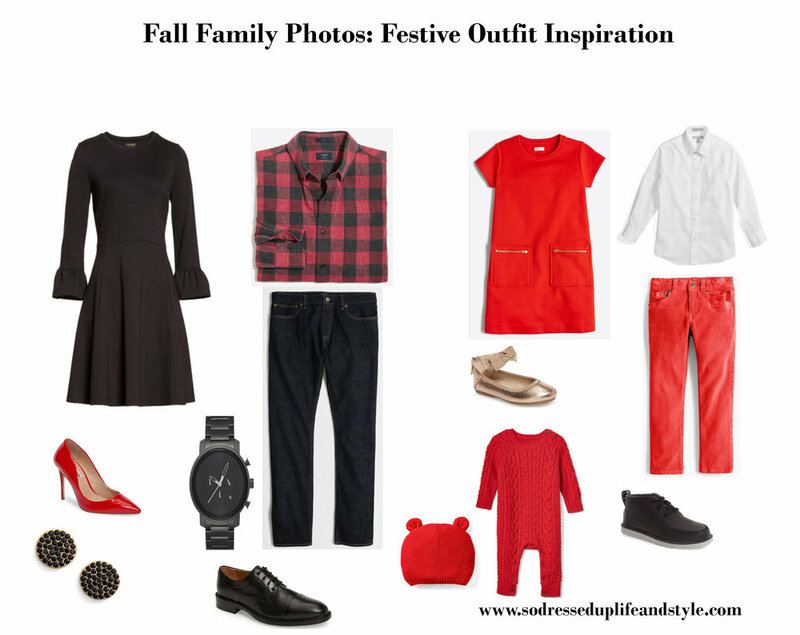 My dear friend and talented photographer Erin Jackson, was telling me the other day that clients are always asking her for ideas on what to wear for their family sessions and encouraged me to put together some style boards. I loved her suggestion and hope you like these fun ideas for a coordinated, but not matchy look. I always like to keep outfits on the more casual side. Doing something super fancy can be really fun, but all in all I prefer something more natural that feels more like an every day reflection of your family. I also like that more casual clothes are a little easier to move around in; for mom and dad to chase after the kiddos, and for the kiddos to be comfortable during the session. My personal preference is a neutral color scheme. I like that it lends itself to clean, soft images that work in a variety of settings, and it also gives more freedom in choosing your holiday card design. Here are some pieces I love for mom, dad, little girls, boys, and of course a baby! And for those not into neutral, I thought it would be fun to do one that is a bit more festive and slightly dressier since I know many people do like feeling a bit more bold and "in the season" for their holiday cards. This is a really fun option too.